Developed by renowned skin care specialists, these superior quality waxes are highly enriched with individual formulas. 14 oz luxury depilatory waxes for full body & face. 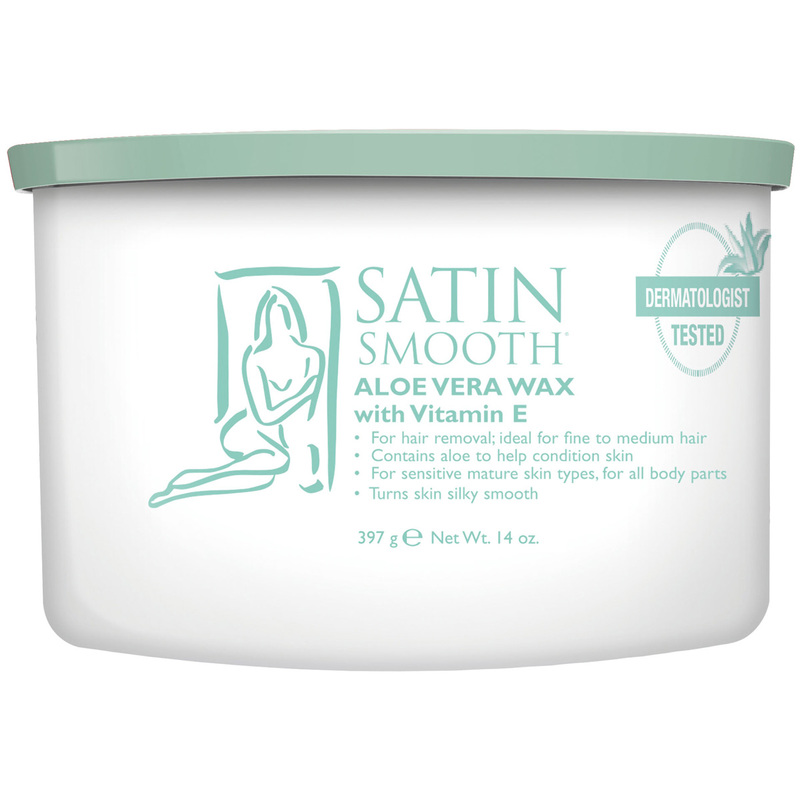 A soothing, premium depilatory wax designed to relax the hair shaft before removal. Infused with natural aloe vera to cool and moisturize skin and reduce irritation, it’s gentle on delicate and sensitive areas and ideal for fine to medium-fine hair and all types of skin. Formulated with titanium dioxide, a natural buffer that eliminates the need for talcum powder, and propolis, a natural botanical substance, this Satin Smooth Wax ensures client comfort, start to finish.